Here’s an elegant pasta that you can whip up in under 30 minutes. Matt was out of town when I made this, so you won’t be getting a guy’s point of view this time. If you’re looking for a light, vegetarian and “meatless Monday” dish, this is one you’ve got to try. 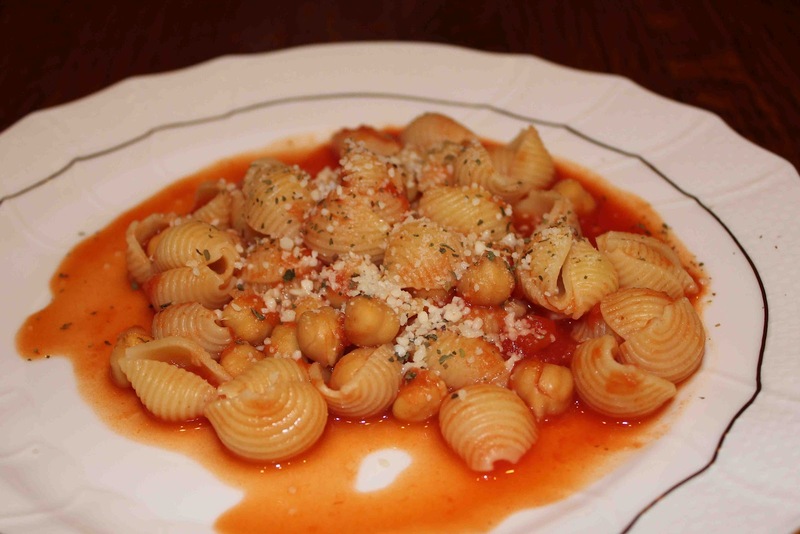 The chickpeas take the place of the meat by adding in protein and texture. 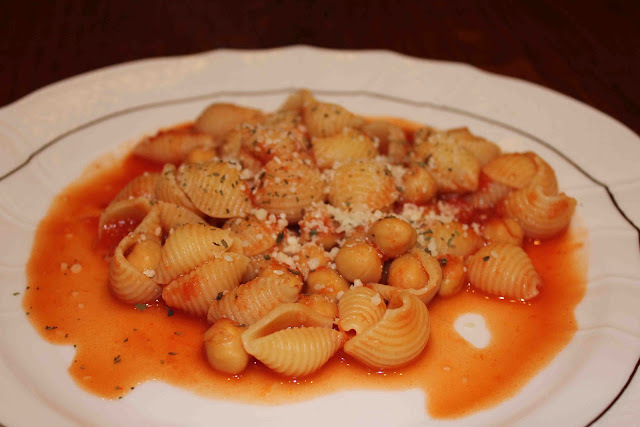 The tomato-sauce is very subtle, but gets a little heat from the red pepper flakes. Don’t forget to add in my favorite grated Pecorino Romano from Central Market. Pecorino Romano is sooo much better than Parmesan because it’s stronger and has a nuttier flavor. Cook garlic and red pepper flakes until fragrant, about 30 seconds. Add chickpeas and cook 5 minutes. Add tomatoes and broth and bring to a boil. Simmer for 20 minutes. Add cooked pasta to the pot and toss. 1. In a medium saucepan, heat oil over medium. Add garlic and red-pepper flakes, and cook until fragrant, about 30 seconds (do not brown). 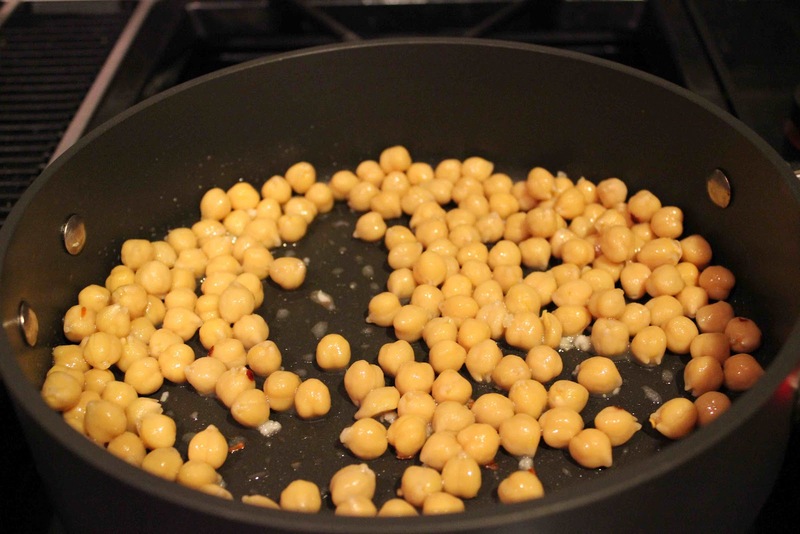 Add chickpeas, season with salt, and cook 5 minutes. Add tomatoes and broth, and bring to a boil. 2. 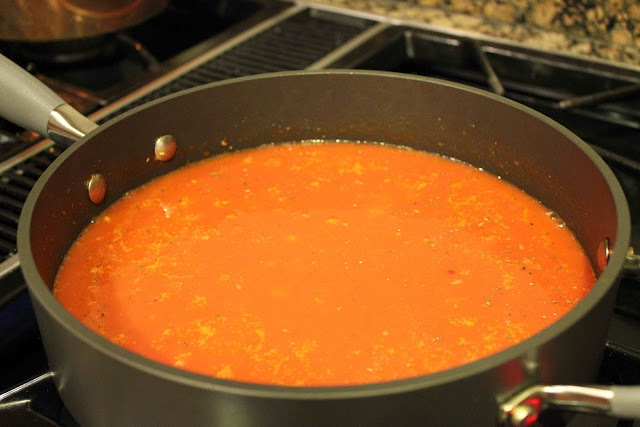 Reduce to a simmer, and cook until sauce has reduced slightly, 20 minutes. Add basil, and cook 5 minutes more. Remove basil. 3. 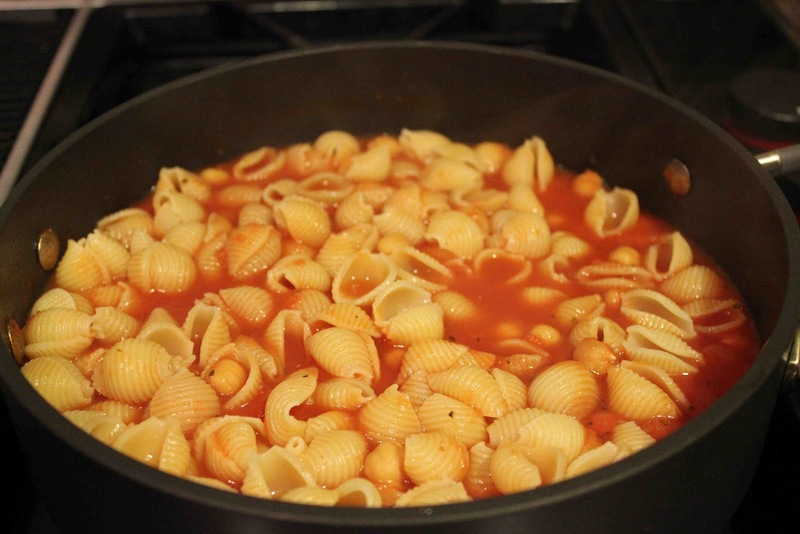 While sauce is cooking, cook pasta in a large pot of boiling salted water until al dente; drain, and return to pot. 3. Add sauce to pasta and toss. Serve with Pecorino Romano, and garnish with torn basil.